Daylite’s mission is clear: empowering small businesses to grow. We’ve never lost sight of that mission we keep on that path because of the fantastic feedback we hear from you, our customers. 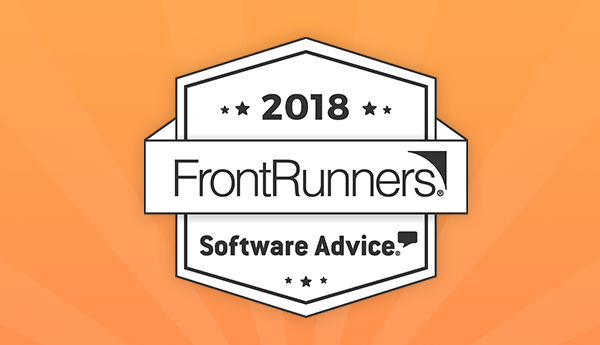 And, while we don’t do it for awards, we can’t help but smile a little broader and stand a little taller after hearing we’ve been named a Software Advice FrontRunner for the third time in a row. Software Advice is the leading online service for businesses navigating the software selection process. In their semi-annual report, they’ve announced that once again that Daylite is a FrontRunner for Small Business Customer Relationship Management. This is the third time in a row Daylite has been featured, showing once more how Daylite can take your business further by helping you nurture your relationships, close more deals, execute on your plans, and scale your business. We appreciate all our customers for taking the time to leave a review of Daylite. These reviews make all the difference, spotlighting how Daylite can help other small businesses achieve their goals and grow. If you’d like to share how much you love Daylite, leave a review!